Hungry to redeem a 2012 season that ended with a disqualification from the playoffs, Cathedral made its way back to the Division I section title game. It took three overtimes but the Dons prevailed in dramatic fashion after junior linebacker Jack Onstott returned an interception 94 yards for the game-winning touchdown. 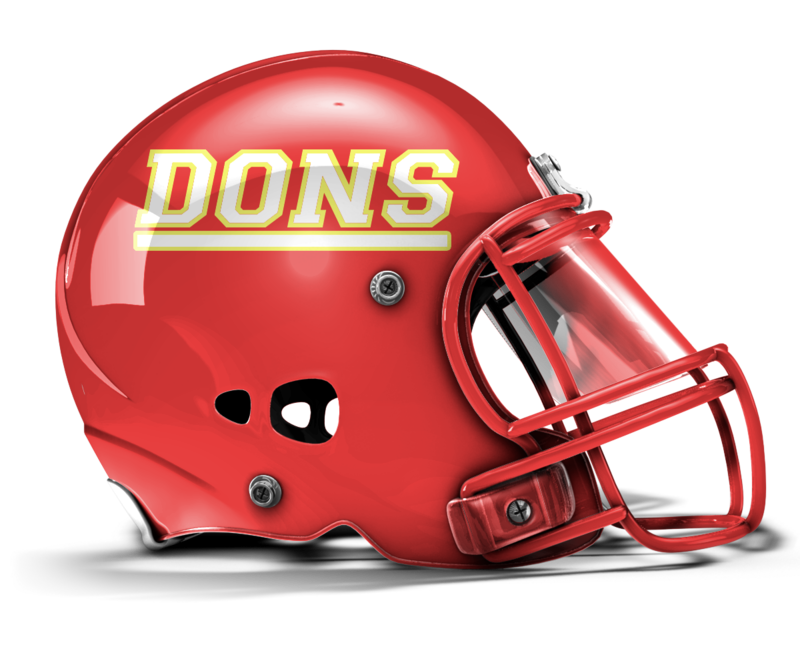 The Dons will have one of the toughest schedules in the county, but the defending Division I champions should have enough talent to make a run for the Open Division playoffs. On offense quarterback Clayton Dale returns with two big targets in tight end Daniel Plum and wide receiver CoCo Richardson. With powerback Chris Moliga moving on, the run game will be anchored by Drew Cowell and an offensive line featuring all-league selection Chucky Amu, Jacob Van de Grift and Jackson McCullough. On the defensive side, a strong front seven will try to help make up for an inexperienced secondary. Boston College commit Ray Smith will man the nose tackle spot, while Stanford commit Casey Toohill and championship hero Jack Onstott returns at linebacker. They'll be joined by senior Choyce Bostian and junior Tyson Maeva. - Passed for 1311 yards & 9 TDs in 2013. - Returned INT for game-winning TD in D-I championship.